While race car driving still remains a male dominated sport, female race car drivers continue to take a stand and shatter previous stereotypes and misconceptions about female drivers. 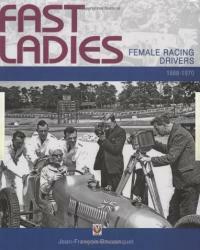 The following article lists examples of five of the best female race car drivers in the U.S. These women serve as tremendous role models for girls who love to drive and who are considering entering the sport of race car driving. Even if you don't follow the sport of car racing, these women are wonderful examples of how women can break into a previously male dominated field and not only perform, but also outperform the competition. In all cases below, women drivers compete side by side with men in some of the most grueling and competitive races in the world. They face the same dangers and fears as every other driver, but they do so with an especially competitive edge and with passion. These female race car drivers have a strong drive to make their mark and ultimately, to win the race. Liz was born in California and became the fourth female to win the Intersport Lola Series at the 2005 Mazda Raceway Leguna Seca. In 2006 she returned with the same passion and skill to enter the American Le Mans Series. 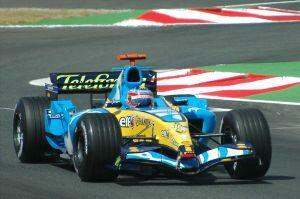 She won three times in the series, and finished in second at the championship. In 2007, she entered the Le Mans Series with the same level of success, and she remains one of America's best female drivers on the track. Leilani looks suprisingly like actress Catherine Zeta-Jones, and it is very likely for that reason that she once worked as a double for Zeta-Jones. Lielani drives in the NASCAR ARCA series now, but she previously raced as a stock car driver in NASCAR Elite, and she once finished a record-breaking fourth in the USRA Super Late Model Series in Texas. She grew up in Minnesota and went to school at the University of California in San Diego for biology. She did not let her degree go to waste, since today, she is not only focused on racing, but also promotes green living with her guest blogging at Huffington Post and at her website Carbon Free Girl. Erin Crocker was born in Massachusetts, but her driving skills fly in the face of the New England negative reference of "Mass Driver." Erin started her career racing cars called "quarter midgets" when she was seven years old. After winning numerous championships throughout the 1990s, in 1997 she started racing at the Whip City Speedway in Massachusetts, where she became the first female to win a race there. Finally, she entered the World of Outlaws racing series, where she raced professionally and won five major races - winning numerous awards and breaking records along the way. Melanie was born and raised in Colorado. Her father, Mike Troxel, was the 1988 Top Alcohol Dragster World Champion, and Melanie was born with her father's racing gene. By age 16, she competed in her first drag race, and finally in 1997 she entered the Top Alcohol drag race, following her father's footsteps. By 1999, she'd won two NHRA races and second place in overall standings. In 2000, she finally entered the Top Fuel dragster races, and in 2006, she won her first Top Fuel victory in Pomona and her second in Las Vegas. Melanie remains one of the country's best race car drivers, receiving numerous alcolades and awards for her accomplishments, including the Women's Sports Foundation, "2006 Sportswoman of the Year," and the Speed Channel's "2006 First Quarter Driver of the Year." Danica Patrick is the top-performing and most popular female race car driver in the world. She grew up in Illinois, and as early as ten years old, she was racing go-karts at a raceway near her hometown. By her teen years, she'd already won several karting championships. At 16 she moved to England to enter Britain's Formula Ford Festival, where she won second place - a feat that no other woman had ever accomplished before. Once she returned to the U.S., she didn't slow down a bit. She consistently finished in the top three in the Toyota Atlantic Championships, and then in 2005, she became the fourth woman to race in the Indy 500, where she took the lead in 19 laps during the race and finished in fourth place - the highest for any female in the history of the Indy 500. The one important message that all of these women portray is that race car driving is a gender neutral sport. Girls and women who train and race have an equal ability to place well in any race and even to cross the finish line in victory above all other competitors.